Do you stock any clothing items? No, every MEE Sports cheerleading apparel order is custom made. What colors do you offer? 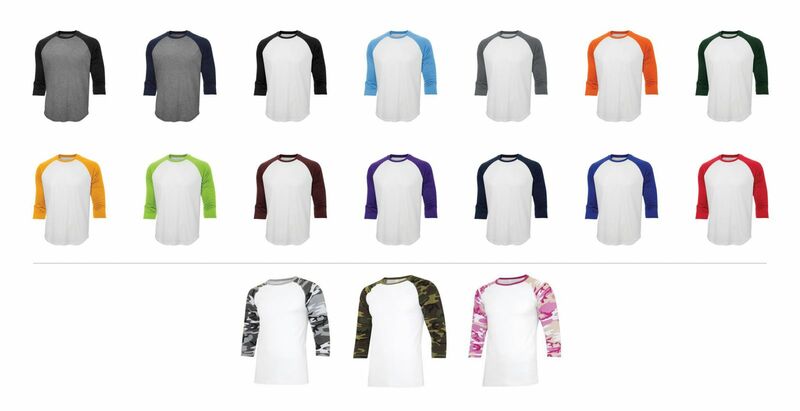 We can produce any color you want through our sublimation process so you are guaranteed the exact color you want. How long does it take to produce an order? Our delivery time typically is 3 weeks however during peak seasons this may stretch to 5 weeks. Do you have a minimum order? Yes we do all new orders must meet of 12 piece minimum. Because all of our cheer uniform and practice wear order is custom made we are not able to cost effectively make small orders. What is your reorder minimum? For all sublimated team wear our reorder minimum is 6 units. We are able to make as few as 3 units however surcharges apply. What sizes do you make? We make all our sublimated cheer apparel from size Child XXS up to adult 3XL. How do I size my team? We offer the use of our sizing kits to ensure the perfect fit for everyone. Do you make matching male and female clothing? Yes all our team wear is available in both male and female styles. Are the prices the same for youth and adult clothing? Yes we charge the same price for both youth and adult apparel. Do you charge more for oversize garments? Our standard pricing is charged for all youth and adult sizes up to adult XXL. For size 3XL we charge 25% more. Do you offer length adjustments? Certain items can be individually adjusted in length such as our warm ups and cheerleading uniforms. For all other team apparel we allow full orders to be made with certain length adjustments. For example the shorts can be made with a longer inseam or the body length of tops can be made longer. Do you ever discontinue a style? No we never discontinue any styles, you can reorder your team wear year after year for as long as you want. How long does shipping take? Shipping typically takes 4-5 business days however we do offer a 2 day express shipping option if you need your order in a hurry.